Bud Powell was one of those very few special innovators who permanently changed the way that his instrument is played in jazz. Prior to Powell's arrival on the scene, pianists kept time with their left hand, stating the beat by striding back and forth between bass notes and chords while their right played melodic variations. When Powell rose to prominence in 1945, his style was a revelation. He stated chords with his left-hand on an irregular basis as if he were a drummer hitting the bass drum while his right played rapid single-note lines like a horn player. This became the way to play jazz piano. 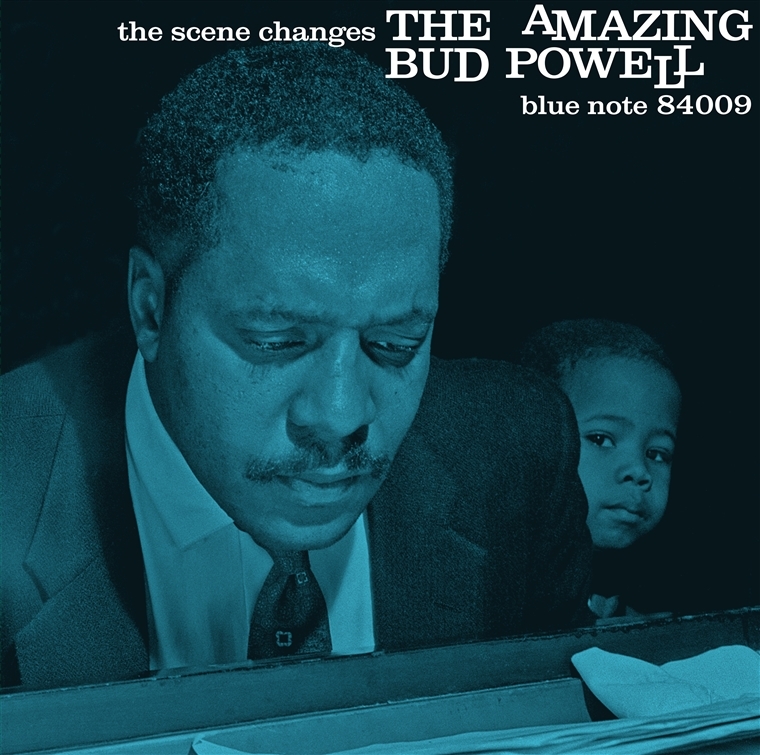 While Bud Powell's recordings of the 1950s could be erratic due to his personal problems, his greatest work was on Blue Note. The Scene Changes, recorded in 1958 with Paul Chambers and Art Taylor, is one of his finest recordings, featuring Powell at the peak of his powers. Powell is heard in prime form, playing one brilliant solo after another. He introduces such originals as "Cleopatra's Dream," "Danceland" and "Crossin' The Channel," showing that he was also a masterful composer. With its impeccable sound and often-stunning piano solos, The Scene Changes is a must for all Blue Note collectors. See more Bud Powell records here.